But for the rest of us, it’s natural to assume that backpacks and dry bags, bought at the local outdoor store are going to stay dry. Note: Not in my experience- I have learned never to take a manufacturer’s claim that a product is waterproof, especially when it is essential to keep it dry. Most hiking backpacks come with a rain cover. Watch for this when buying one - it is usually stowed in a small pocket at the bottom of the backpack and unfurls covering the pack before being clinched in by elastic, around the harness. That rain cover is your first line of defense. The downside of rain covers is that they make accessing gear In the backpack painful, and can quickly get snagged on foliage and rip since they are made of a lightweight material. You’ve got lots of options for keeping your gear dry, and it comes down to the personal preference. 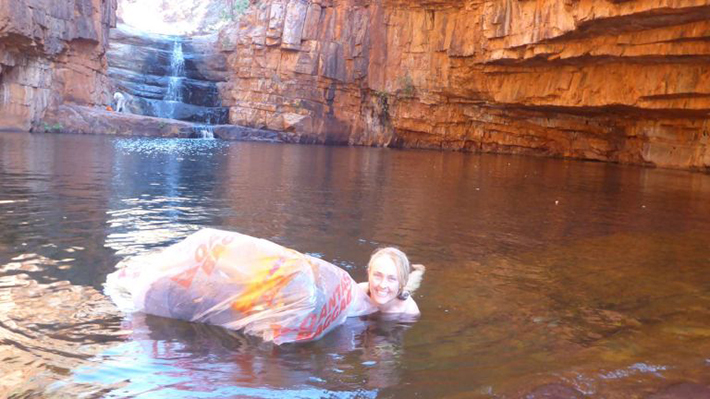 If you have only one or few pack swims to get through, this method might work for you. Instead of lining the bag, you just put your whole backpack inside a large plastic bag, seal it up with bands and bands and float it across the water surface. You can either drag it behind or push it in front of you, depending on distance and river current. This method involves waterproof, heavy duty bag and putting it inside your backpack, which is a pretty reliable way of keeping your gear dry. All of your contents should be placed inside this bag. Your pack will probably get soaked, but it’s the stuff in it that matters. 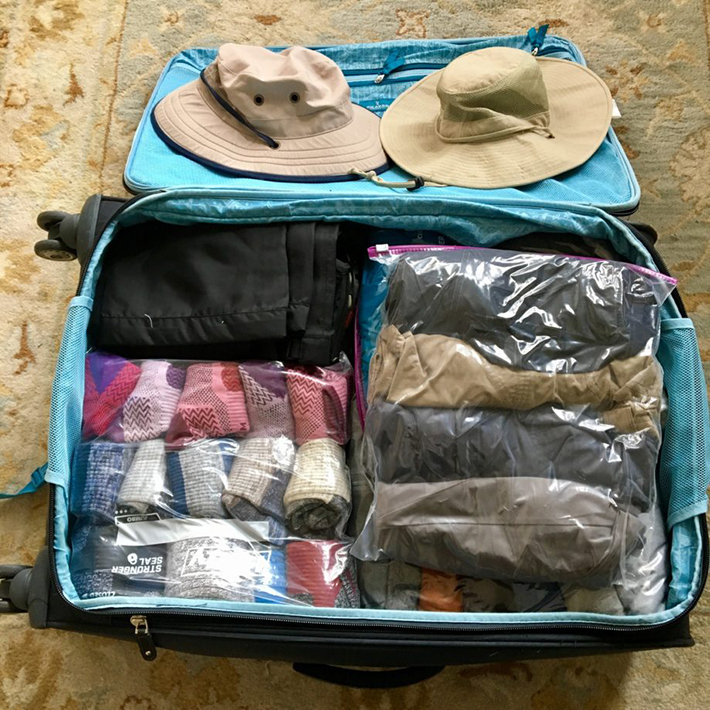 You can purchase liner bags commercially or use something vets call a ‘dead dog bag.’ Make sure that the bag is taller than the backpack, so you have a lot of room to twist it and seal it with a few rubber bands. This method ensures that the backpack holds plenty of air that is useful for pack floating and added buoyancy. 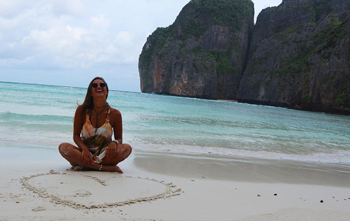 It comes handy when you are in and out of the water all day. However, getting things to fit snugly inside the backpack can be quite tricky. You also have to be careful that things like cutlery or stoves don’t pierce the bag. To put this one directly, you have to ensure that each of the different items which need to be kept dry is in their own, separate bags. For me, this means my dry clothes/thermals, sleeping bag, and food which isn’t in its packaging. It is a lot easier to save space and pack snugly inside the pack. It is a good idea if you carry expensive electronic gear. You can help yourself even more by packing stuff in different colored bags, to keep it organized based on the color of the bag. 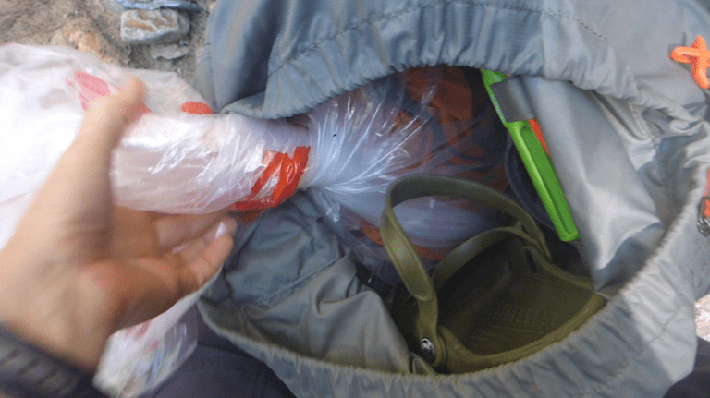 Negative sides of this method are that there is less air to your backpack and you own smaller bags. The pack can also hold water on the bottom, which adds weight. 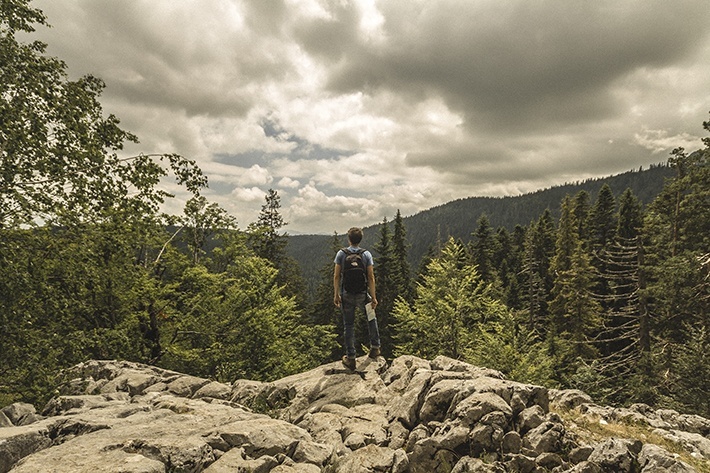 Always pack in horizontal, not vertical layers, because your backpack should follow the spinal curve of your back. Packing goes a lot easier if you place loose items in stuff sacks. Sacks that reach wall-to-wall across your backpack should maximize pack space and eliminate small gaps that are hard to fill. I’ll admit it- I’m obsessed with ziplock bags, and I use them for everything. I just love how they come in different sizes and shapes, and do everything a dry sack does, but for way cheaper. My books and maps get the ziplock treatment. Rubbish also goes in a large ziplock and is clipped onto the outside of the pack with the compression strap. Ziplock bags are especially useful for protecting the gear in the pack's lid and hip belt pockets. And the best thing is that they are available almost everywhere. Ever heard of proofer sprays? Well, in the same way, you might re-proof your waterproof jacket, waterproofing sprays are available for rucksacks. They will improve the fabrics water resistance, but it is important to remember that no spray will make your backpack 100% waterproof, as rainwater can still lead through the zips and seams. Another interesting tip that I can give you is to use waterproof containers. They are useful for keeping items watertight as well as safe from damage. They are most commonly used bu canoeing and sailing enthusiasts. These containers are available in a variety of sizes, from larger ones to hold all your kit to smaller ones which fit inside your backpack. You may want to read an article review on them before deciding which product will work. PRO TIP: Don’t assume that the only way for the water to get into your pack is from the outside. If you have a bladder or a water bottle inside your backpack, it could spring a leak, so, protect against that too. When packing, I tend to go in reverse order. You should wrap this way just because this is the order you’ll need things-food on the bottom, tent on top, etc. The sack, containing spare clothes, headlamp, toiletries, etc. Place the poles alongside the tent, if they will fit. If not, set them on top of the on top of the waterproof, sealed liner, just under the back flap. After that, run the closing straps of the pack through the nylon security loops right before you buckle them. By doing this, you prevent the poles from sliding out of the pack if you capsize. If you plan to carry a tent, make sure to pack it between the waterproof liners and the abrasion, so that personal stuff which is packed below won’t get dirty or wet. You now have a watertight, abrasion-resistant unit. If you have chosen the technique you find the most adequate, followed our instructions and tips, you should be ready for an adventure, not worrying about water in your backpack might ruin all the fun. Good luck!